I am Artist from Ukraine Novik Olesya. 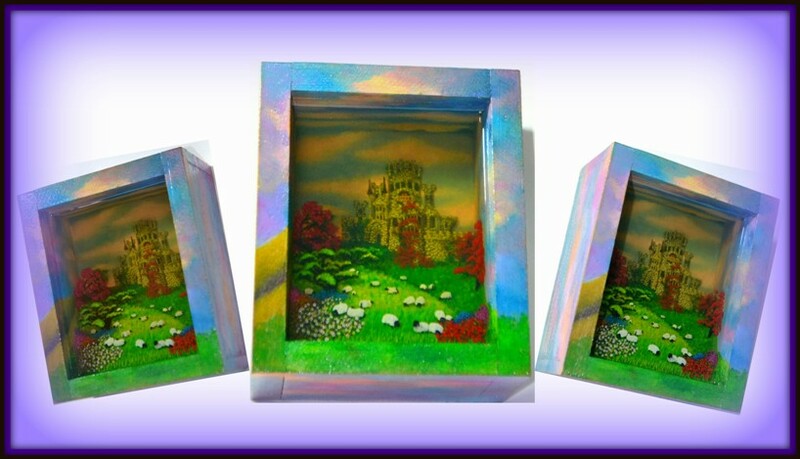 I use unique Technology of creation Pictures - Sculptures by successive imposition of Layers acrylic colors and transparent Resin. Layer after a Layer a Picture grows while we will not get three-dimensional Image. An Image does not seem three-dimensional, it is three-dimensional and even has a Shadow. It is possible to see an Object in all Foreshortening like on a hologram. The Creating of one Painting usually takes 1 - 1,5 months. First Time in the World You can see Portrait in original Size made like this! The creation of Pharaoh Face took 3.5 months. The picture has around 90 - 95 Layers. The Process takes so much time, because after the layer colors and then a layer of transparent resin is necessary to wait 1-2 days until the resin hardens. Photo of Paintings done on three Sides, allowing You to see the Difference in Image when the Angle of View changes.